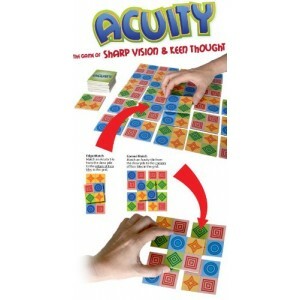 Acuity from fat Brain Toys is a game of sharp vision and keen thought. Players race against each other to discover and match hidden partners. Just beware as your mind's eye can trick you!. A great family game where players juts have to flip, turn and match. 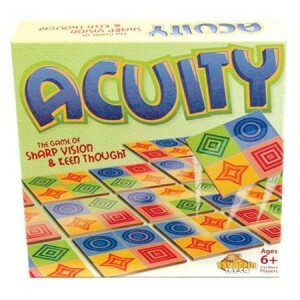 Acuity comes with free delivery.